Dr. Omar said, “We paid an official visit to Cairo and the purpose behind the trip was so that Somaliland and Egypt to can begin having bilateral cooperation based on wide range of areas.” The Foreign Minister stated that they met with Egypt’s Minister for International Cooperation and deputy Minister for Foreign Affairs Arab League officials. Dr. Mohamed Abdilahi further said, “All the officials we met with, we raised with them the interest of Somaliland. 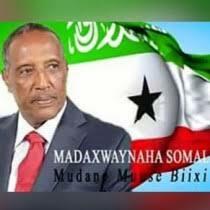 - HUSSEIN Abdi Dualeh is Minister of Mining, Energy & Water Resources for the breakaway Republic of Somaliland in the Horn of Africa, a territory exactly the same as the former British Protectorate of Somaliland, but which remains unrecognised by the international community. Dualeh was born under a tree in the Saraar region of central Somaliland, and was only five when his father upped sticks and moved the family to Aden in what was then South Yemen in the Arabian peninsula. After returning for secondary education at the reputable SOS Sheikh International School, Dualeh himself got itchy feet and set off alone for Abu Dhabi, where he got a job selling lubricants and gasoline to bulk buyers for the state-owned oil company Adnoc. It was here that his passion for the oil business grew, doing with a determination to prepare himself for a serious role in the industry. - Keeping up its wide-range initiative for closer ties with Africa, Turkey throughout the year added to its foreign missions and sped up ambassadorial appointments all over Africa, but its main focus stayed on Somalia as the country went through its most severe drought in a century in the summer of 2011. As part of the ruling Justice and Development Party's (AK Party) initiative to increase the country's representation to a striking 95 percent of the African continent, Turkey geared up efforts in 2011 to connect to the continent through its newly established embassies, in hopes that the country will reach close to four dozen missions in Africa within a few years. While the country focused on its foreign missions and the appointment of ambassadors to the newly established spots, the Somali famine dominated Turkey's global agenda and even the speech Prime Minister Recep Tayyip Erdoğan delivered at the General Assembly session of the September UN meeting. Addressing leaders of the world, Erdoğan called on UN nations to act on Somalia, repeating his sorrow over the high number of Somali deaths due to the harshest drought and famine the country has experienced within the last century. Although Somaliland is not recognized internationally it continues to be peaceful, relatively stable, with central administration, a multi-party political system, elected government, an active civil society and vibrant private sector. In the context of a post-conflict economic base and without international development aid, due to lack of international recognition, consecutive governments in Somaliland have to varying degrees succeeded in establishing functioning administrations, promoted peace, reconciliation and stability, and created positive and enabling environment for economic growth and social development. It is no secret that the bulk of state-rebuilding efforts and activities were initially focused more on peace and security rather than on building the capacities of public institutions to deliver basic services such as health, water and education to the poor and the vulnerable sections of the society, and those consecutive governments were not in a position to regulate the growing private and non-state sectors which filled in the vacuum left by the central government, after the collapse of the Somali state in 1991. Taariikhda Qadiimiga ah Ee Berbera. Qayb-1aad. For better or worse, the journey that had begun with a 4:30am wakeup call to get to the African Express ticket counter wasn’t over. I was traveling to Hargeisa, the capital and major city of Somaliland, but until that morning, I didn’t realize that African Express flew only to Berbera, a much smaller, coastal city. (I later learned that the runway in Hargeisa is too small to accommodate the plane from African Express, though other airlines with smaller planes are able to use it.) The two cities are connected by highway, but it’s at least a three-hour journey each way. This is kind of like flying to Seattle to go to Portland—possible, but not really ideal. And in the horn of Africa, a three-hour journey is a lot different than jumping on Amtrak or renting a car and heading down I-5. Oops. I decided to look on the bright side: traveling via Somali minibus would definitely give me a chance to experience more of the local culture. Otherwise, I might have been tired and headed straight for my hotel..
Somaliland and the 1 Shilling coin. “The Republic of Somaliland” was declared on May 18th 1991, when the part of Somalia that had once been a protectorate of Great Britain declared itself to be a sovereign and independent nation. To this day Somaliland’s independence remains unrecognised by the international community. The only coin to be issued for circulation in the name of Somaliland is the 1 Somaliland Shilling type of 1994. This coin was issued around October 1994 when the Bank of Somaliland also formally introduced a series of papermoney in denominations 5, 10, 20, 50, 100 and 500 Somaliland Shillings. The unit of currency of the Republic of Somaliland i.e. the Somaliland Shilling, is a lasting sign of the British influence on this region. Let us take a look at the history of Somaliland and the Shilling, more particularly the history of Somaliland and the 1 Shilling coin. Whilst the Government seems beset with infighting over a sum of $500,000 that should have gone to the Finance Ministry a humanitarian disaster appears to be developing in Awdal region. People are fleeing their homes in Seemal and Elbardale following the recent murder of three locals. So far it has been reported at least 600people have fled from their homes and are on their way to the town of Dilla, Awdal. Yet whilst this displacement is going on it seems particularly shocking that the Vice Minister is busy inaugurating a number of projects and facilities in the same region. He was in the nearby town of Gabiley on Sunday with a large delegation of ministers and government officials where he cut the ribbon for a number of infrastructures including two roads, an orphanage, class rooms and conference hall. The projects were reportedly all carried out by the local Gabiley administration. In 2006, Tesfy Assefa fled Ethiopia after having been accused of supporting the Oromo Liberation Front (OLF), an organisation deemed a terrorist group by the ruling Ethiopian People’s Revolutionary Democratic Front. His father had been killed and his mother beaten in front of him. Leaving Harar in the middle of the night, he found a ride to Jijiga and then caught a minibus to Wojale, the border town between Ethiopia and Somaliland, before arriving in Hargeisa, the Somaliland capital. Let us begin with what we could possibly conclude from the reports made by the international police (Interpol) and the related considerable statistics about the rate of the crime within the Somaliland, which is deemed to be the least amongst all Arab countries and all African ones and numerous countries within Asia, Europe and both North and South America. However, we would quote the underlying statement made by the Somaliland representative to the United Nation Mr. Augustine Mehaingha dated 5/12/2011, in which he declared that “the security and stability enjoyed by Somaliland is not available in various recognized courtiers of the world”. - There have been some thought-provoking pieces recently on the balkanization or partitioning of Somalia. The best of these pieces, in my opinion, have been Professor Michael Weinstein's "Kenya's Premature Invasions of Southern Somalia Stalls Balkanization" published in Garowe Online and Abdishakur Jowhar's "The End of Somalia: Scenario of Partition" published in Somalilandpress and other websites . Professor Weinstein's piece is a methodical analysis of therealpolitik motivations underlying the efforts of Ethiopia and Kenya to establish statelets beholden to, and dependant upon, them within Somalia and the political trends within, and outside, Somalia supporting or opposed to such efforts. Mr. Jowhar's piece, on the other hand, is the anguished and visceral cry of opposition to these efforts, and the Somali political actors that are, wittingly or unwittingly, supporting them, that can only come from a Somali patriot who feels the dismemberment of his country as deeply as wounds on his body. Waxan baaq xoojin u ah qaylo dhaantii uu maamulka degmada Geed-balaadh soo saaray dhawaan halkan uga dirayaa Ururka loo aasaasay inuu ka shaqeeyo horumarinta guud ee gobolka Gabiley (GARDO) ee ka jira dalka Ingiriiska, oo runtii wax-qabad muuqda oo dhanka caafimaadka iyo wax-barashadaba ah tiroba dhawr goor ka hirgaliyay meelo ka mid ah gobolka Gabiley (Arabsiyo iyo Gabiley). Hawlahaa uu ururku fuliyay oo aad loogu diirsaday waxay waxtar aan la qiyaasi karin u yeesheen dadka ku nool gobolka Gabiley oo ku badhaadhay. Dadka ka qaybqaatay inay wax u qabsoomaan ururka GARDO-na waa ay ku amaanan yihiin kuna mahadsan yihiin, ilaahayna waa uu ka abaal-marin. Waana waajib la gutay. Baahida dalkii hooyo ee jamhuuiyada diimuqraadiga ah ee Somaliland taalaa way badan tahay waana ay baahsan tahay oo lama wada dabooli karo, hase yeeshee sida dhamaanteenba la gudbooni waa inaan kolba meesha ugu daran ee horumarka taabka gaaban leh ee bulshadu ka xagal daacayo uun ka nab-nabnaa ama ka kab-kabnaa. The End of Somalia: Dr. Jowhar is Right! AbdiShakur Jowhar’s article, The end of Somalia: Scenario of Partition, has caused quite a stir. And the response from most Somali readers, I suspect, is revulsion at the specter of doom the article sketches and dismissal of the author as an unabashed secessionist with ulterior motives. I beg to differ! I have read the article twice, and both times came out quite impressed. Not that this, being impressed with a Jowhar article, is something new to me. I have always found Jowhar a pleasure to read, even when I have drastically disagreed with him. He writes, it appears, with a cheer in his heart, a smile in his face, a song on his lips. True, a smirk can, especially from afar, be mistaken for a smile; but the sense of levity with which he writes is always there, palpable with its effulgent radiance. This article, though, is of an entirely different tone: matter of fact, raw, and altogether lugubrious. Maamulka Deg, Geedbalaadh Oo Ka Waramay Wax-qabadkooda iyo Waayaha Guud ee Degmada Geedbalaadh..
- Maamulka Degmadda Geed-balaadh ayaa hirgaliyay Dhismihii ugu horeeyay ee Dawlada Hoose ee Degmadda Geedbalaadh laga yagleelay kaasi oo dhismihisu gabo gabo ku dhawyahay , Gudoomiyaha Degmadaasi oo u waramay Shabakadda Caalamiga ah ee Timacade News, ayaa sheegay in Hirgalinta Dhismahan aanay Ciddina ka Caawin isla markaana ay Degmada Geedbalaadh hirgalisay dhisme wax wayn ka tari doona Xafiisyadda Maamulka Dawlada Hoose ee Degmada Geedbalaadh. Gudoomiyaha Degmada Geed-balaadh Ciise Cabdi Jaamac ayaa sharaxaad ka bixiyay Xaalada Guud ee Degmada Geelbalaadh isla markaana Xusay in Degmada Geedbalaadh hodan ku tahay Wax-soo saarka sida Khudaarta iyo Noocyada kala duwan ee Rashinka sida Hadhuudhka, Arabikhida, Digirka iyo Bariiska oo uu sheegay in uu sifiican uga baxay Degmada Geedbalaadh oo beero dhawr ah laga Beeray, tijaabadiisuna si fiican uga hirgashay Degmada. Somaliland has been standing on its own two feet for the last twenty years. And it is doing relatively well! On the whole, self-rule and self-reliance has brought on its wake congruous determination, and engendered respect for the current, as well as, to the previous government. This awakening, I think, is based on innate political savvy of the ordinary man on the street, which, in turn, emanates from seminal degree of respect for the rule of law, or at least, the realisation that only with the safeguarding of peaceful coexistence between various sub-clans, Somaliland may achieve its highly sought after goal of self-determination, despite of all exogenous obstacles. This, in turn, led to a commendable level of political stability of a nation, unrecognized internationally. A step forward, in this process towards self-determination, has been witnessed in the peaceful transition of governmental powers from the previous President, Mr. Dahir Riyale Kahin, to the current incumbent Mr. Ahmed M. Mahmamoud Silanyo. “Four thousands pounds ($6,270/€4,805) is enough to build a well to support a village, we aim to build at least 10 of those wells in the next 12 months alone''. - Mo Farah described today how winning the world title he had always coveted in September prompted him to use the accomplishment to help starving people back in his homeland of Somalia. The athlete who was born in Mogadishu and moved to England from the war-torn nation when he was eight was speaking today in Twickenham, where he officially launched the Mo Farah Foundation he has set up with his wife Tania, to help combat the famine in the horn of Africa. ''BBC Sports Personality of the Year 2011: Mo Farah''. It paid off within six months as he won 5,000m gold at the World Championships in Daegu to prove his credentials as one of the best distance runners in the world. Farah's incredible performance was not only the biggest distance win by a European male since Ireland's Eamonn Coghlan at the Worlds in 1983 but the first long distance gold won by a British male at a global championships. Londoner Farah had already won silver in the 10,000m at the world championships - a race he had looked set to win gold in until he was piped by Ethiopia's Ibrahim Jeilan just metres from the line. Hundreds of kilometres from war-torn Mogadishu, the capital city of the nascent territory of Somaliland teems with life. Hargeisa’s heavy traffic and crowded markets show a city detached from the war-torn south of Somalia. The city has become the economic hub of the country, having grown from a dusty town to a sprawling metropolis of two million people since 1991. After declaring its independence from Somalia twenty years ago, Somaliland has had four democratic elections, fostered a burgeoning economy, and maintained stability and rule of law even as the rest of the country descended into anarchy and rule by vicious warlords. Though unrecognized by the international community, Somaliland may be the long-awaited stable democracy both Somalis and the West have been praying for. Somaliland: Jaamacada Abaarso Tech Oo Markii u Horaysay Laga Qaatay Shahaadada MBA (master degree). Ardaydii u horeysay ee shahaadad Jaamacadeed oo degree-ga labaad (MBA) ah ku qaadata gudaha Somaliland ayaa maanta ka qalin jebisay Jaamacadda Abaarso Tech. Munaasibad loo sameeyay qalin jebintaas oo lagu qabtay caasimadda Hargeysa ayaa waxa ka soo qaybgalay Madaxweyne ku xigeenka Somaliland Md. Cabdiraxmaan Cabdullaahi Seylici, gudoomiye ku xigeenka 1-aad ee golaha Wakiilada, maamulka Jaamacadda Abaarso Tech iyo marti sharaf kale. Ardaydan oo tiradoodu tahay 13 qof, waxa ay ka qalin jebiyeen kuliyadda Maamulka iyo Maaraynta (Business Administration) ee jaamacada Abaarso oo ku taala degaanka Abaarso ee dhinaca Galbeed ee Magaalada Caasimada ah ee Hargeysa, waxayna 13-kaa arday oo gabdho iyo wiilal isugu jiray qaateen shahaadada degree-ga labaad ee MBA (Master of Becholar Administration). After remaining in the political wilderness for seventeen consecutive years, Somaliland’s first ever Vice-president Hassan Essa Jama was rudely awakened from his long slumber by his long time comrades-in-arms Ibrahim Abdillahi Hussein, famously known as Dhegoweyne and Abdirahman Aw Ali, founders of the UDHIS party. Now he is deservedly back on the political stage, giving the long-dormant UDHIS party the publicity stunt it so desperately required to hit the ground running. With his impeccable academic qualifications and unrivalled experience as former vice-president coupled with his indisputable record of the decade-long armed struggle waged against the late Mohamed Siyad Barre’s military junta, Hassan Essa’s return to the political arena will have many presidential hopefuls shaking in their boots. This is despite the fact that, up until now, there is no finalised agreement between him and UDHIS as to what role he will play in the party. Mr. Axmed Mux' ed Madar: Dawladaha Hoose Ayaa Ugu Musuq Badan Dalkeena. Guddoomiyaha Komishanka Maamul-wanaagga iyo La-dagaalanka Musuqmaasuqa Somaliland Mr. Axmed Muxumed Madar, ayaa daaha ka fayday in dawladaha hoose ee dalku yihiin meelaha ugu musuqmaasuqa badan Jamhuuriyadda Somaliland, isaga oo xusay in dadweynuhu khaatiyaan ka taagan yihiin xatooyada iyo maamul-xumooyinka aafeeyey. Guddoomiyuhu waxa uu shaaciyey in Komishanka Maamul-wanaagga iyo La-dagaalanka Musuqmaasuq uu si gaar ah isha ugu hayo dawladaha hoose iyo hay’adaha dalka ee musuqa iyo xatooyada xoolaha ummadda caadaystay, waxaannu si gaar ah farta ugu goday maamullada dawladaha hoose ee dalka Somaliland. Little by little China is forming military links in Africa and in the Indian Ocean in order, experts say, to protect Beijing's economic interests in the region. No CaptionIn the past three weeks Beijing has committed to supporting Ugandan forces operating in Somalia and to helping the Seychelles fight piracy. "It is very clear that the Chinese leaders recognize that military force will play a bigger role to safeguard China's overseas interests," Jonathan Holslag, of the Brussels Institute of Chinese Contemporary Studies told AFP. "There is a willingness, and even a consensus, in China, that this process will take place." Dad Isaaq ah Oo u Dhashay Kililka 5-aad Oo Degan UK, Oo Baaq iyo War-murtiyeed u Diraya Dawlada Itoobiya. Kulan ballaadhan oo ay magaalada London ee dalka Britain ku yeesheen dadka ka soo jeeda Beelaha ISAAQ ee dega Kililka 5aad ee Ethiopa ayaa laga soo saaray baaq ku wajahan Dawladda dhexe ee Ethiopia iyo hoggaanka maamulka kilka 5aad ee Somalidu degto. Kulankan oo ay ka soo qayb galeen dadweyne iyo masuuliin tiro badan oo ka soo jeeda dhammaan Beelaha Isaaq ee deqa Kililka 5aad ayaa aad loogu lafa guray arrimaha nabad gelyo iyo siyaasadeed ee ka jira deegaankaas oo ay muddooyinka dambe ka soo noqnoqdeen colaado iyo ammaan darro ay geysanayaan ciidanka cusub ee madaxweynaha Kililku sameeyey ee loo yaqaan NEW POLICE oo 95% ka soo jeeda beeshiisa iyo maleeshiyaad isla qabiilkaas ah oo si badheedh ah falal argaggax leh uga fuliya degaannada beelaha ISAAQ. OTTAWA, CANADA, Dec 19, 2011 (MARKETWIRE via COMTEX) -- Mindesta Inc. ("Mindesta") wishes to announce that it has decided to focus its efforts on mineral exploration in East Africa, and in particular the Republic of Somaliland and Ethiopia, as it believes the region has very attractive geology and an improving political environment. As initial steps in executing this strategy, the Company has appointed C. Tucker Barrie Ph.D., P. Geo. as Vice President, Corporate Development and has entered into an option agreement to earn up to an 80 per cent interest in, and ultimately acquire 100% of, the first two mineral exploration permits issued by the Republic of Somaliland. Dr. Barrie has 20 years of experience in mineral exploration with expertise in VMS and Ni-Cu-PGE deposits, as well as orogenic gold and porphyry Cu deposits. Ciidamada Amaanka Oo Xabsiga U Taxaabay Guddoomiyaha Urur Diimeedka Xisbulaahi Iyo Arimaha Lagu Haysto. Ciidamada Amaanka ayaa xabsiga u taxaabay Guddoomiyihii urur Diimeedka Xisbulaahi Sheekh Maxamuud C/laahi Geele, kaas oo la sheegay in Ciidamada Bileysku ay habeenadii ugu dambeeyey baadi goob ugu jireen qabashadiisa kadib markii Wasaarada Arrimaha Guduhu soo saartay Amar lagu xidho ayay Ciidamada amaanku Xalay gacanta ku dhigeen, isla markaana u gudbiyeen xarunta Dambi Baadhista ee CID-da. - Somalia's radical Islamist group Al Shabaab has warned Djibouti against sending its forces to Mogadishu to join the peacekeepers serving under the African Union Mission in Somalia, Amisom. Speaking in Mogadishu, Sheikh Ali Mohamoud Raghe who is the the Chief Spokesman of Al-Shabaab reminded the Horn of Africa country about its role in hosting Western military bases that the group disapproves. “We are going to confront them (Djiboutians) the way we fight the Ugandans, Kenyans and Burundians that are in Somalia,” announced Sheikh Ali Dhere. Djibouti has announced plans to send 850 armed personnel, to Mogadishu to join the Amisom in eradicating the threat of Al Shabaab and other security threats in the country. World and regional powers are now in a big rush to simultaneously tackle three big and intractable East African problems -- the Somalia war, the crisis in eastern DR Congo, and the risk of South Sudan imploding. For the first time in a very long, diplomats appear to be optimistic that lasting peace in the Greater East Africa region may be closer than it has been expected. This has set off a flurry of diplomatic efforts aimed at boosting peacekeeping efforts and paying for the reconstruction in some of the trouble spots. As announced earlier, our old theatre was no longer adequate for all the surgical operations that were needed. We therefore put together as much funds as we could, and with additional support from the Fistula Foundation, Direct Relief and the Friends of the Edna Adan Hospital, the long-awaited theatres were built and opened on the 6th of January 2011. The opening ceremony was officiated by the First Lady of Somaliland, the Minister of Health, other government Ministers and many dignitaries attended the ceremony. - Maroodi-Jeex Region (Hargeisa) was crowned 2011 Somaliland national Football champions after defeating Hawd Region 1-0 at the Burao Alhamzy Stadium on Sunday. The fast paced final match of this year’s National football competition was witnessed by thousands of spectators among them president Silanyo and a number of cabinet ministers, Members of the two houses of parliament, Regional administrators as well as traditional and religious leaders. “A sheep” says a Somali adage “sees the sky only when it is being slaughtered”. The proverb has anticipated the fate of the Somali people… The butcher has arrived. The knife is sharpened. The Somali is about to see the sky for the first time. This paper is about epiphanies the Somali will behold at the moment of truth, at the edge of the event horizon from which nothing ever returns, just before the riding whip of slavery bites his naked backside. It is a near-funeral situation; we should ponder what follows in a sombre manner, with thoughtfulness and grief. The Epiphanies I: The objective of those who fund the Somali wars is not to rescue Somalis. It was, and remains to be, about limiting Alshabaab’s freedom of action, degrading its capacity and containing it progressively to smaller and smaller territory. The era of America’s great wars is over. This is the diktat of contracting economics of the time. Wars will now have to be fought cheaper and smarter; with the help of allies, with predator drones in the sky and expendable proxies on the ground. The strategy has succeeded beyond expectations in the Somali theatre. That the Somali people have become victims of a permanent war in the process is the collateral damage and truly unfortunate in the eyes of the funders. But it is neither here nor there. War is ugly. Taliyaha cusub ee ciidanka qaranka Somaliland Gen. Maxamed Xasan C/laahi (Jidhif) ayaa maamul goboleedka Puntland uga digay sheegashada xuduuda dhulka Somaliland, waxaanu tilmaamay in aan ciidanka Somaliland dagaal cidna ku qaadayn, balse ay ka go’antahay inay ilaashadaan xuduudooda. Gen. Maxamed Xasan Jidhif ayaa sidoo kale wax lala yaabo ku tilmaamay in aan lahayn cidii geysatay dilkii Seemaal, isla markaana sheegay in dadkii dilkaa geystay la iska soo dhex qabto. Taliye Jidhif ayaa sidaasi ku sheegay Munaasibad ay xilka kagala wareegayey Taliyihii hore ee Ciidanka Qaranka Nuux Ismaaciil Taani oo shalay lagu qabtay xarunta Taliska Guud ee Ciidamada Qaranka, ayaa sidoo kale kaga hadlay xidhiidhka Somaliland iyo Ethiopia. Ugu horayna waxa uu hadalkiisa ku bilaabay “Anigu halkan (Taliska ciidanka Qaranka) qadar Alle ayaan ku imid oo olole umaan galin, meel yar oo qabow oo reer Nebi Ciise ah-na waan iska joogay (Hay’adda uu hore uga shaqeynayey) oo aan dhib lahayn, laakiin hawsha qaranku haddii ay kaa maarmi waydo in la qabto ayay noqonaysaa, halkaa hore shan maalmood ayaan shaqeynayey laba maalmoodna waan nasanayey, laakiin halkan lama nasto”. LEWISTON — Virtually all of the Somalis who have come to Lewiston since January 2001 are legal residents of the United States. The vast majority arrived with refugee status, meaning they had lived in refugee camps in Kenya or other countries neighboring Somalia and were not able to return home because of “well-founded fear of persecution based on race, religion, nationality, political opinion, or membership in a particular social group,” criteria for refugee status in the United States, according to a 2010 Senate report. With Somalia still in the throes of a clan- and class-based civil war, that fear of persecution was very much alive in the refugee camps. Among the Somalis who made it to Lewiston, “adults grew up in a place that was destroyed by war,” said Holly Stover, acting director of the Department of Health and Human Service’s Office of Multicultural Affairs. - Just north of downtown Minneapolis stand two cement, skyscraper apartment buildings covered in faded pastel patches. Most of the people who live there are part of the city's large Somali community. Once a month, many of them walk across the street to the small, blue shop that houses Kaah Express, a money-wiring business that links Somalis in Minneapolis to relatives in camps throughout East Africa. Soon, however, the patrons of Kaah Express will have to find a new way of getting money to East Africa. The last U.S. bank to work with Somali money-wiring companies has announced that it's planning to eliminate that service, and Somalis in Minnesota warn that cutting off remittances could lead to a humanitarian crisis. ADDIS ABABA Dec 17 (Reuters) - Ethiopia signed an agreement with a Chinese state-run firm to build the final section of a railway line that will link its capital Addis Ababa to the tiny Red Sea state of Djibouti, an official said. The deal signed late on Friday with the China Civil Engineering Construction Corporation (CCECC) covers a 339-kilometre line that will join another project to connect the capital with Djibouti. "This agreement is a contract to construct between Mieso, which is half way from Addis Ababa, to the Djibouti border," Getachew Betru, general manager of the Ethiopian Railways Corporation, told Reuters. Ethiopia and Djibouti's economies are reliant on each other with about 70 percent of all trade through Djibouti's port coming from its land-locked neighour. The wider East African region is special – and even notorious – in Africa. In the past 18 years it has produced more new or wanna-be-new nations than all of Africa combined. In 1993 Ethiopia and Eritrea agreed a mutual and happy divorce. The good vibes didn’t last; they became bitter enemies and fought after it happened. In 1991, after the Siad Barre regime was overthrown, Somalia plunged into chaos. A few years later Puntland hived itself off as a semi-independent nation. Somaliland too jumped ship. Unlike Puntland, which is open to joining a future, peaceful Somalia federation or confederation, Somaliland is determined to be independent. In February this year, South Sudan voted by nearly 100 per cent to secede from Sudan, and in July formally became Africa’s newest country. That is four major border remakes in less than 20 years. How many new countries have arisen in the rest of Africa as a result of a break-up of existing countries (Saharawi Republic doesn’t count)? ZERO!! Precisely because secessionist and breakaway demons roam the wider East Africa, the feeling is that over the next 20 to 50 years, we shall see more nations breaking up or being swallowed as others grow. The population pyramid, also named age- pyramid, of Somaliland shows over sixty percent are concerning fifteen thirty ages. The young citizens of Somaliland keen to study, as well as some sponsor them selves to learn. Currently, big quantity of students is often witnessed awaiting courses on the private and public educational institutions. The English language privates are booming and turned the Somaliland into English talking nation. This is element of training revolution in Somaliland exactly where everyone is hunting the information. The govt educational institutions deliver excellent understanding natural environment and curriculum with the students. REYKJAVIK, Dec 16: Iceland on Thursday became the first west European country to formally recognize a Palestinian state, three months after the Palestinians began to seek full membership of the United Nations with peace talks with Israel frozen indefinitely. "(This) will surely have positive influence on other states to follow the same steps," Palestinian Foreign Minister Riyad al-Malki told a news conference in Reykjavik. "Iceland didn't only talk the talk, we walked the walk," Icelandic Foreign Minister Ossur Skarphedinsson said. "We stood by our word, we have supported the Palestinian cause and today will not be the end of that, we will continue to do so." Is the Global Decline in Fertility Stalling in Africa? By Bernard Wasow, PhD. - As the world population passes seven billion, there is much hand wringing among the prosperous of the world about the unchecked growth of hungry folk, especially on far-away shores. How can the world accommodate so many people - nine billion by mid-century? For the most part, this standard Western concern is entirely selfish, reflecting race- and class-based fears. What is more, the fear of overpopulation is largely misplaced (although the fear of climate change and other consequences of unchecked consumption are not). In fact, the end of the population explosion is near. The numbers are dramatic. After all, we only reached a population of one billion people early in the 19th century and two billion in about 1925. In less than a century since then, population has more than tripled. Yet in almost every corner of the developing world, the demographic revolution is reducing fertility rates to levels near or below the replacement rate (about 2.1 babies per woman). - TUESDAY, Dec. 13 (HealthDay News) - Chewing the green leaves of the khat plant for its amphetamine-like effect appears to raise the risk for both stroke and death among heart patients, according to a large new study from the Middle East. The finding, however, could have relevance far beyond that region, as emigration has increasingly brought khat-chewing to the shores of both Europe and North America. Consumed by an estimated 10 to 20 million people worldwide, for centuries the naturally grownCatha edulis shrub has been widely available (and most popular) across East Africa and the southern Arabian Peninsula, where some people munch on khat in pursuit of a euphoric or aroused state of mind. - 14 December 2011 – The United Nations and its partners today called for $7.7 billion to provide humanitarian assistance to 51 million people in 16 countries over the course of next year, launching the largest appeal in two decades. “Millions of people will be affected by emergencies caused or worsened by the impact of climate change, insecurity over food and water, economic and political crises, migration, urbanization and rapid population growth,” Under-Secretary-General for Humanitarian Affairs Valerie Amos said at the launch of the appeal in Geneva. “We urgently need the continued support of people and governments around the world to help those desperately in need,” underscored Ms. Amos, who is also the UN Emergency Relief Coordinator. ''The justice will prevail and killers will be brought to justice regardless of the crocodile tear of ONLF''. - I have read an article titled: "Seemaal Murders, an insult to Injury" which appeared on pro-ONLF website "Wardheer News". The author Mohamed F. Yabarag, a known diehard supporter of terrorist group ONLF, is trying to fuel tension between the Somaliland tribes in Gabiley and Awdal states. Let us examine closely, why the author is fueling the tension in this area: Isaias Afewerki regime is training hundreds of ONLF guerilla in Asmara, Eretria, to battle Ethiopian military in Somali region of Ethiopia. Asmara administration provides weapon to the trainees, and sends to Ethiopia. ''The old man is showing unmistakable signs of senility. The looming question is then who is running the country''. - On 6 December, inter-communal violence broke out in different parts of Ceelberdale region, creating the worst humanitarian crisis since the civil war in 1988. In the affected areas, over 15, 000 Jibril Aboker have been internally displaced by ethnic cleansing in ten days. Reporting reaching us indicates that armed militias from Borama and Baki districts burned villages, destroyed farms and killed livestock in Buqdhada, Boodhka, Edegan, Hamarta, Isha Gudban and Seemaal. This mayhem created Somaliland’s newest internally displaced persons (IDPs), who are in a desperate state. Who’s to blame? Who hosted the regional competitive tournament of Somaliland? Congratulations to Togdheer community and their authorities that had again Inspired the moral of the Somaliland youth. As I watch the Somaliland TV and the cable TV I could see a very beautiful and well designed playground. Especial thanks also goes to Somtel who had contributed a lot since everyone feels comfortable at home and watch the games (the same with me—as I write this article and watch the games). Already some of the regional teams lost their hope In football game and showed respect and friendship to the rest of the team who had succeeded to the semi-final stage. Good, you have done a good example. Four years had elapsed since last regional competitive (Nov.2007). Many of the Awdal community may remember well the sad event in Hargeisa stadium, but which fortunately some keen and kind hearted ministries, authorities and mayors from Hargeisa and Gabiley came to Borama to apologize the team. Please read my following old article published in Somaliland times (ref.issue-304 on 17th.Nov.2007). - The first Human Development Report introduced a new way of measuring development by combining indicators of life expectancy, educational attainment and income into a composite human development index, the HDI. The breakthrough for the HDI was the creation of a single statistic which was to serve as a frame of reference for both social and economic development. The HDI sets a minimum and a maximum for each dimension, called goalposts, and then shows where each country stands in relation to these goalposts, expressed as a value between 0 and 1. The education component of the HDI is now measured by mean of years of schooling for adults aged 25 years and expected years of schooling for children of school entering age. Mean years of schooling is estimated based on educational attainment data from censuses and surveys available in the UNESCO Institute for Statistics database and Barro and Lee (2010) methodology).